Woman in white t-shirt examining olive tree on farm on sunny summer day. Female farmer touching ripe black olives with hands. 4k00:12Woman in white t-shirt examining olive tree on farm on sunny summer day. 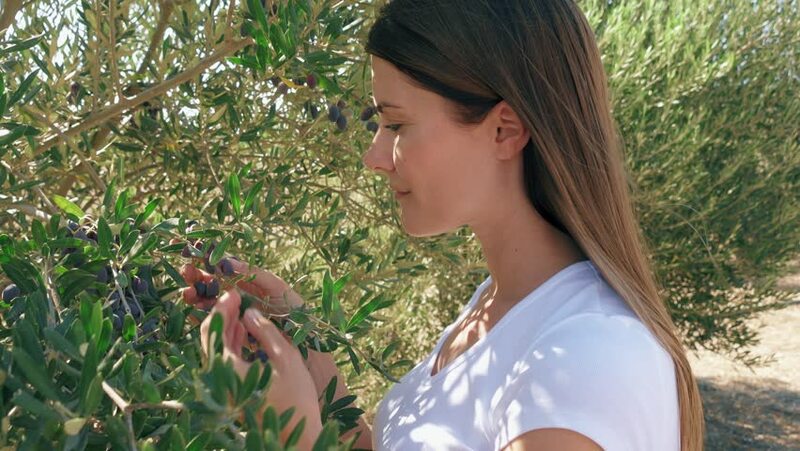 Female farmer touching ripe black olives with hands.